YouTube is world’s biggest video sharing website and you can make money online with it. According to Alexa Ranking its world’s 2nd largest website, which receives more than 8,39,17,112 unique visitors per day. It is said that YouTube is the second Google. Google will show you related content or texts based on your search but YouTube will show you Visual result against your queries. Just wear a headphone then watch and listen what you want to know from YouTube. YouTube is not uploading videos rather its users are uploading informative videos for others. I guess you know what is YouTube and its purpose. Now come to the point, how will you make money online through YouTube? Suppose you know cooking very well. You are willing to share how to cook delicious dishes and also want to share your new dishes. Then just create and upload a video demonstrating the techniques and methods of cooking. Having lots of visitors of YouTube there will be milliards of peoples who will be searching for new and delicious dishes. They find and watch your videos. Now if you want you can place ads on your videos and can make money online with YouTube videos. You will create videos in which you are adept in. You have to make others to understand better what you are capturing on your videos. Ask yourself, what is my passion? In which am I good at? Probably you will get an answer and then start to make videos with passion. STEP 1: Setting Up YouTube Channel. You have to create a YouTube Channel and upload videos to make money online with YouTube. Create a fresh Gmail account then log in to YouTube, pick up a relevant name and create a YouTube Channel. All your Videos will be uploaded to this channel. As you are going to make money online through this YouTube Channel so write a proper description about your channel. And use your channel’s name minimum one time into your description as it useful of YouTube SEO. Add a logo and cover picture for your Channel. For Logo, use 800 x 800 shaped JPG, PNG, GIF (animated gifs are not supported) or BMP files. YouTube Do Not supports images less than 2560 x 1440 for cover pic. Note: If you desire to use a single word for your channel name then create a Google + business page for your channel and move your channel into brand account. STEP 2: Create and Upload YouTube Video. Now it’s time to show your passion. Create nice and informative videos then edit them and upload to your YouTube channel. For video editing you will find lots of software on internet. I have found that Camtasia Studio 8.6 is one of easiest software for video editing. Screen Recording is a Plus point of Camtasia Studio. You can download camtasia studio 8.6 with crack from here. After editing the video now it’s time to do offline SEO for your YouTube Video. And then Upload Your Video. Don’t forget to do online SEO for your YouTube videos too. Check this article to learn about online and offline SEO for YouTube videos. STEP 3: Placing ads to YouTube Videos. Hopefully you have uploaded 3-4 videos on your channel and now you can make money online through YouTube videos. You have to place ads on your YouTube videos. Now the burning question is who will show ads on your videos? And how will you get paid? The answer is Google AdSense. They will show ads on your videos. Don’t have a Google AdSense? Getting Approval for YouTube AdSense Account for is not a tough cookie but very sensitive. This is why I have decided to write a detailed content on How to Get Approval for YouTube AdSense in Two hours. Please follow the steps written on that content very carefully. I have shared how to place Ads on YouTube Videos on that content too. So, read How to Get Approval for YouTube AdSense in Two hours very carefully. 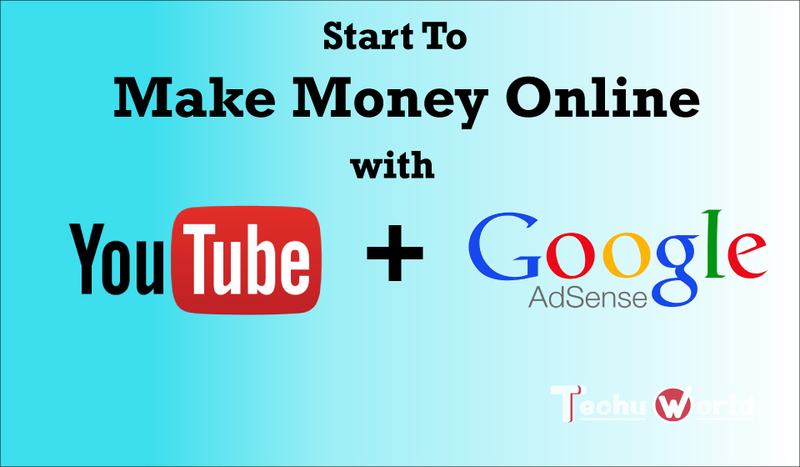 Now you have an AdSense Account and you can place Ads on your YouTube Videos and can make money online. I hope you have read all the linked content and know how to do YouTube SEO for your videos. And you have linked your AdSense account to your YouTube channel. Now keep up uploading rocking videos, I guarantee; you will earn more than 500$ in next 4 months if you upload 90-100 qualitative videos on your channel. Prev post What are Push Notifications for Posts in WordPress? While earning thousands of dollars probably isn’t realistic, you can start earning money quickly, especially if you have a good channel.